Prince Harry and Meghan Markle are engaged to be married, an announcement from the Royal Family has confirmed. It has also recently been confirmed that the pair’s nuptials will take place at St George’s Chapel in Windsor Castle, where it had been rumoured to happen for some weeks before the engagement announcement. The ceremony will take place in May, although no official date has been given yet. Prince Harry’s relationship with Meghan Markle was first confirmed in November 2016, when Harry released a statement about the ‘harassment’ his new girlfriend had received from the press ever since rumours of their romance began circling. ‘Prince Harry is worried about Ms. Markle’s safety and is deeply disappointed that he has not been able to protect her. It is not right that a few months into a relationship with him that Ms. Markle should be subjected to such a storm,’ the notice read, adding that Harry hoped that ‘fair-minded people will understand why he has felt it necessary to speak publicly’. Harry designed wife-to-be Meghan’s incredible diamond ring himself. The ring is set on a gold band and features a diamond from Botswana — where the couple visited together earlier this year —and two side stones were taken from Princess Diana’s personal collection. Since then, Harry and Meghan’s relationship has gone from strength-to-strength. 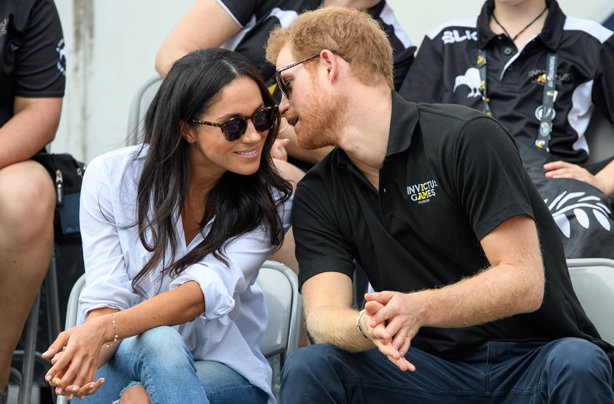 Despite initially keeping their romance under wraps, and only occasionally being pictured as Harry took Meghan on a string of romantic dates in London, after a year of dating the couple began to be more open about their relationship. Attending the Invictus Games together in September 2017, Prince Harry and Meghan Markle made their first ‘official’ appearance at Invictus Toronto. Putting on a loved-up display, the cosy looking couple left royal watchers in doubt that Harry was planning a proposal. 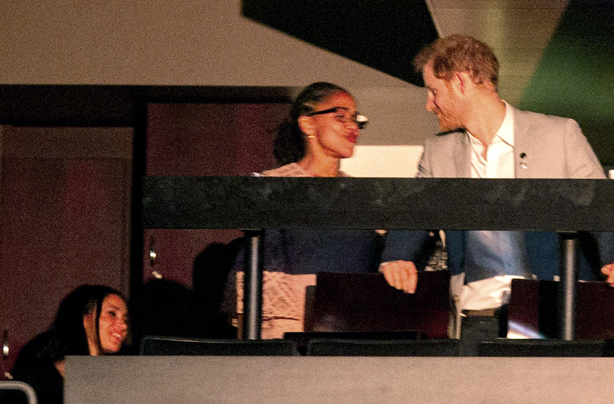 Prince Harry was also spotted getting along well with Meghan’s mum Doria in Toronto – the first time either one of them had been spotted with their future ‘in-laws’ – despite the fact that Meghan was thought to have met most of the royal family by this stage. Meghan made a huge statement when she appeared on the cover of Vanity Fair in October 2017, declaring her love for Harry and speaking candidly about her relationship with the Prince for the first time. American actress Meghan, 36, told contributing editor Sam Kashner that she and Harry were “in love” and “happy”. “I’m sure there will be a time when we will have to come forward and present ourselves and have stories to tell, but I hope what people will understand is that this is our time,” Meghan admitted. FROM our sister site, GoodToKnow. Written by Rachael Martin.